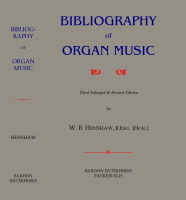 Beschreibung: The third edition of this book now contains over 10,000 composers and 74,000 entries, making it one of the most comprehensive list of organ music ever published. Each composer is listed with ‘life-dates’ and their main countries of residence; alternate spellings of names which are cross referenced in their related positions are given, together with the portion of the name usually used highlighted. The list of compositions for each composer includes publisher, date of publication and composition, opus number, and the movements of large multi-movement works. Note that owing to varied information sometimes available, not all of the above is necessary on each work. Other information included is an appendix of publishers including their web-address where known.